A knife-wielding kidnapper in Illinois is behind bars after coming up against a woman armed with a concealed carry handgun. An Illinois woman with a concealed carry permit used her firearm to escape the clutches of a man who kidnapped her at knifepoint over the weekend. 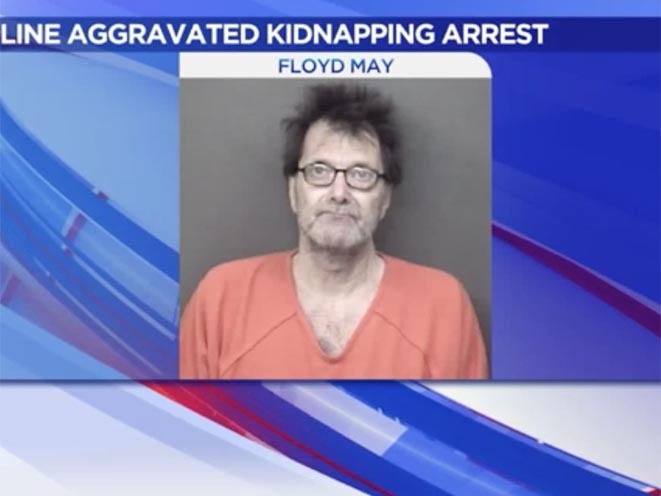 The unidentified woman was getting into her car in the city of Moline when a man later identified as 61-year-old Floyd R. May approached her with a knife and forced his way into her vehicle. During the ensuing struggle, the woman sustained a cut on her arm from the knife. May eventually gained control over the situation and forced her to drive him to a rural area in Rock Island County. 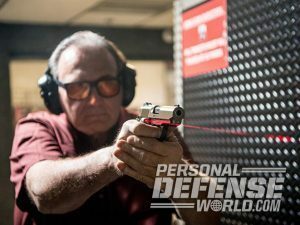 When they arrived, the woman seized the opportunity by drawing the concealed carry handgun she had with her. This caused May to run away, at which point the woman drove herself to the hospital and called the police. After an investigation, police were able to locate and arrest May. He’s been charged with aggravated kidnapping and aggravated battery with a weapon with regard to the incident. He’s also facing two additional charges—unlawful use of a weapon by a felon and aggravated assault—as a result of a separate incident the same day in which he threatened a man with a knife. May is now being held in Rock Island County Jail on $550,000 bail.